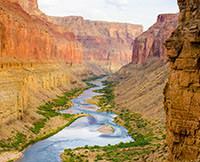 Grand Canyon Rafting – I don’t think I can top this one! Grace and Wren, our guides, were the best people. My Grand Canyon Rafting trip was the best vacation Ive ever had. I don't think I can top this one!